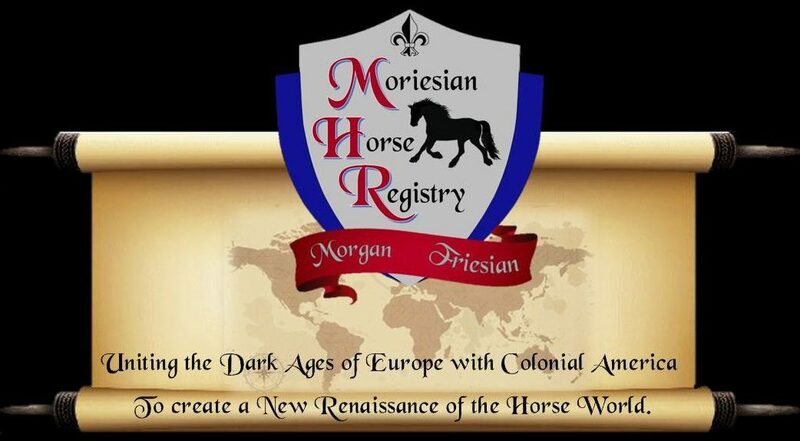 The Moriesian Horse Registry is currently affiliated with Federated Equine Inspection Tours (FEIT) www.equineinspections.com Members of the MHR in good standing may have their registered Moriesians inspected at one of their inspections. 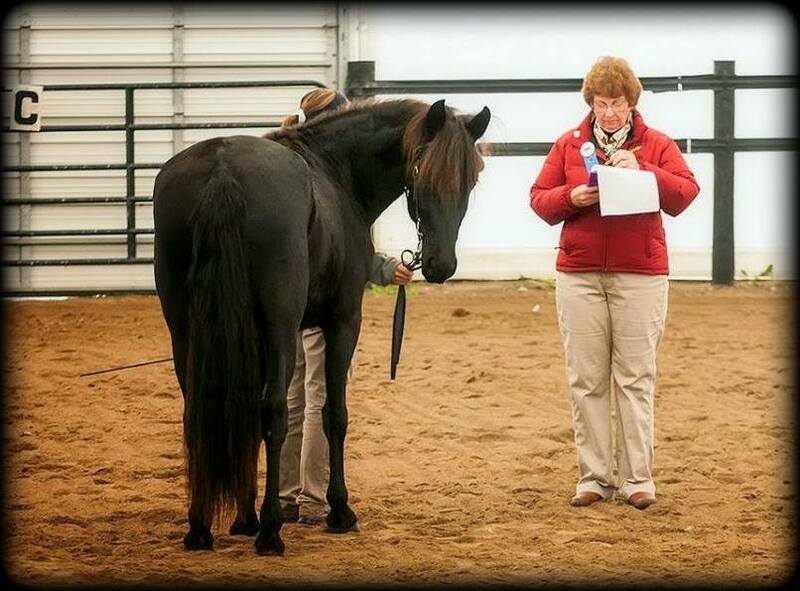 FEIT inspections are judged by licensed, highly experienced, USEF R Judges. 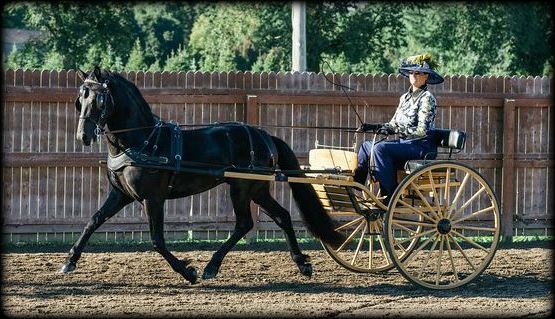 Horses are presented in hand and at liberty and the quality of the horse’s conformation, walk, trot and canter are evaluated, discussed and scored. Riding and driving tests are also available at some locations. Horses are scored 40% on conformation and 60% on movement. 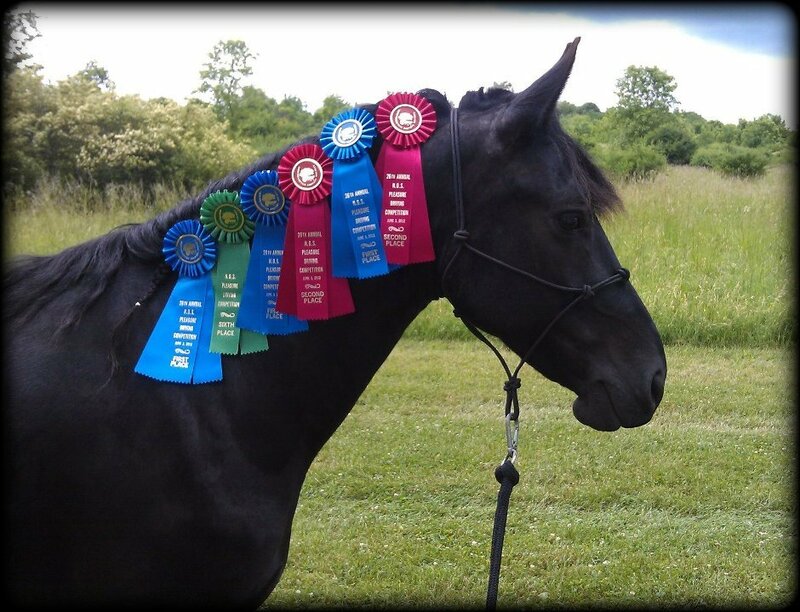 For horses that qualify, first, second and third premiums are given and ribbons and certificates are awarded. All horses scoring 7.7, and over, will have their quality further acknowledged by also receiving an award of “High Merit”. FEIT currently offers a choice of 3 different Suitalility Standards and 1 Breed Standard that horses may be judged against. Inspections are scheduled for weekends between August and October. Inspections are generally viewed as a good way to assess the quality of the horses breeding and producing offspring within a registry or breed type. Inspections also help to educate breeders and buyers about the type and quality they are aiming to produce or buy. 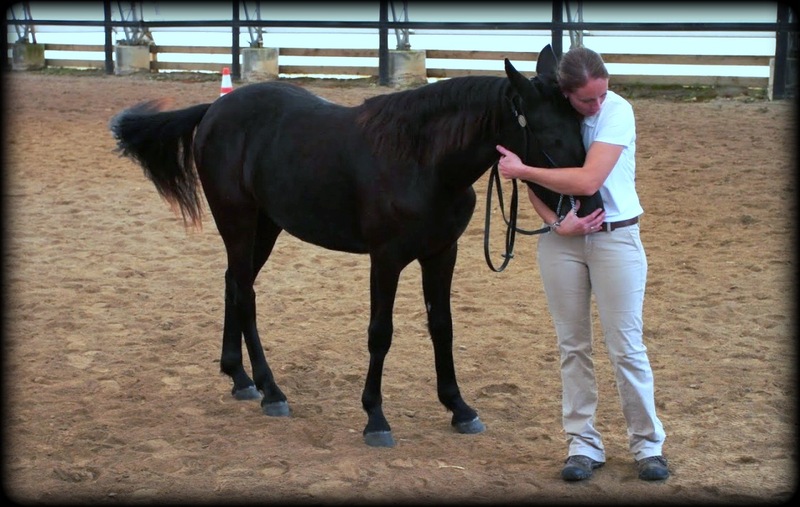 Some owners find these inspections useful in terms of having the horse(s) professionally evaluated for conformation and for potential for various disciplines. They are particularly useful as a marketing tool. 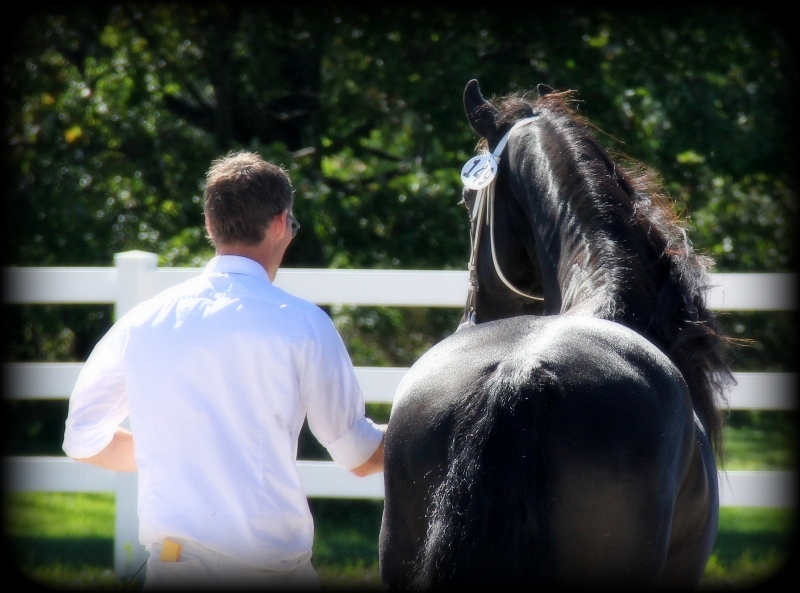 Buyers often find a horse with a good inspection score more appealing than a horse without one. For breeders, it helps to establish the overall quality of their breeding programs and often, helps them to see where improvement is needed. If you are interested in setting up or hosting an inspection in your area a minimum of six horses at a site is required. Fees: The inspection fee is $185 per horse if your horse is registered with MHR. 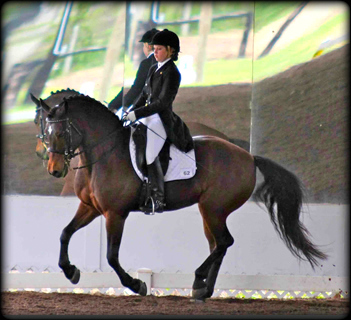 Moriesians compete in both Dressage events and Open shows. 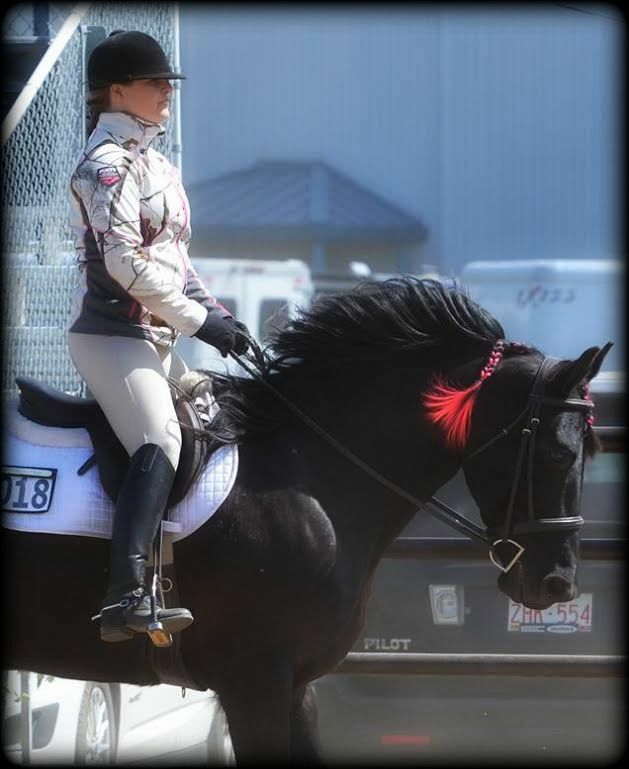 Being versatile they are a good contender in English and Western Pleasure classes, Park horse, Driving, Reining, Cutting, Hunter/Jumper, Equitation and Competitive Trail. The MHR Annual Awards Program honors those who excel in competition. For more information and participation forms for 2011 click on link: Awards Program. 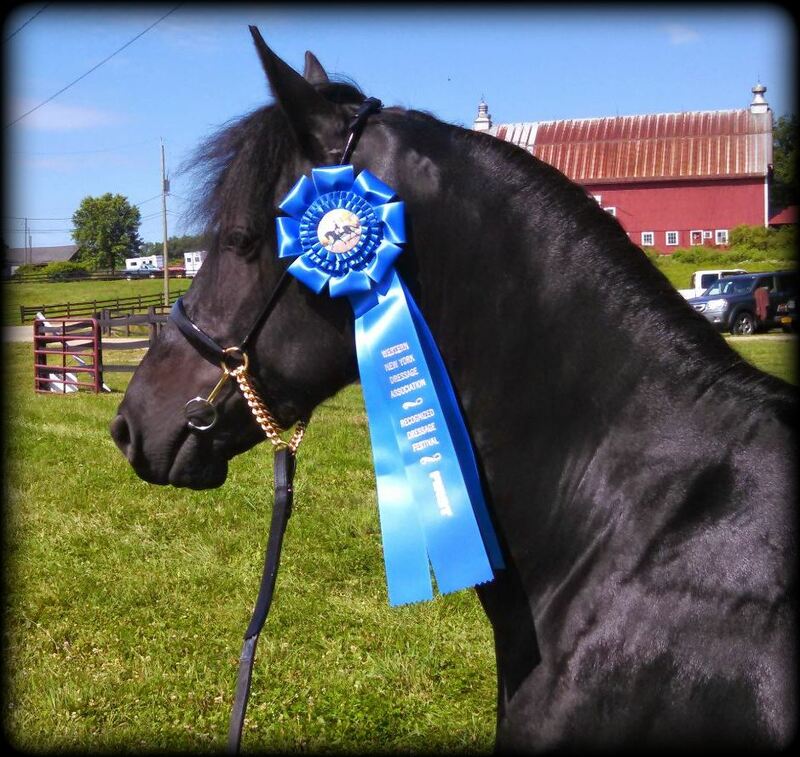 Breed specific shows: Moriesians are eligible to compete in shows that have classes for part-bred Friesians or Morgans. 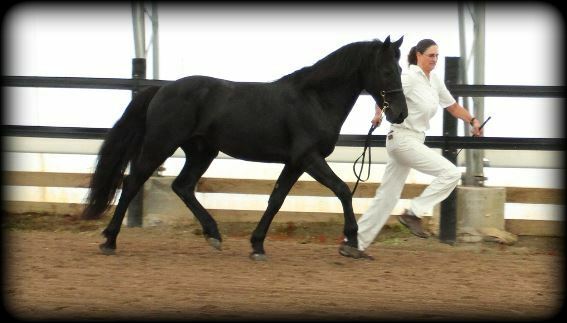 The International Friesian Show Horse Association (IFSHA) schedules a number of “A” and “B” shows yearly throughout the country. 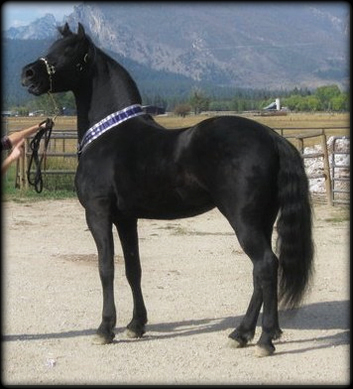 Horses must be registered with a registry that maintains proof of Friesian heritage through DNA testing and record maintenance. 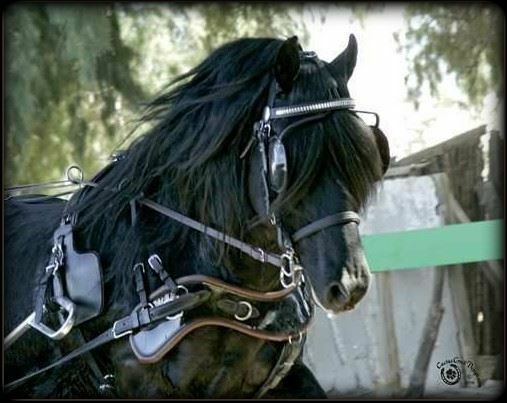 Part-breds must have at least 50% Friesian heritage and one pure blood Friesian parent. Horse must have proof of permanent ID: freeze marks, tattoos, brands, tongue codes or micro chips verified on registry certificate, or certification of administration by a vet.